Vets and their veterinary healthcare teams have so many wonderful heartwarming stories to share about pets. Publisher Lea-Ann Germinder also presented “What’s Your Story Now?” about how these stories can be shared in both traditional and social media. Germinder + Associates together with Goodnewsforpets and GNFP Digital opened up the discussion at our booth at a recent veterinary conference, the NY Vet show November 8-9, 2018 in New York City with a special promotion. Barry Lisman, DVM of Sachem Animal Hospital, Holbrook, NY with the OG Our Generation Veterinary Clinic and Publisher Lea-Ann Germinder. 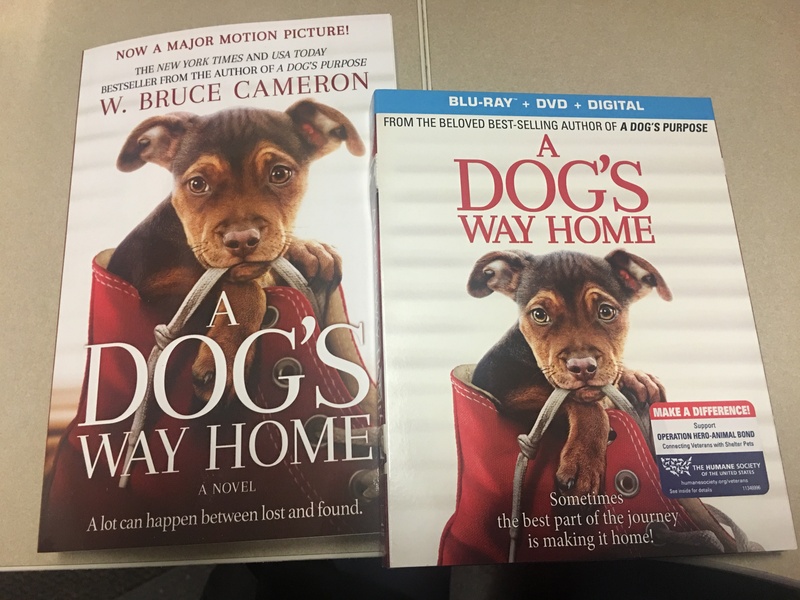 A nod to Dr. Lisman’s comprehensive work with Lyme disease in dogs is evident in the background. Holly Schroll, VMD of Park Animal Hospital, Massapequa Park, NY with the OG Our Generation Anais the Veterinarian Doll, and the ACVB “Decoding Your Dog” Book with Publisher Lea-Ann Germinder. Dr. Schroll will use her extra book in the patient lobby education center. Leigh-Ann Janitz of Butler Veterinary Hospital, Butler, NJ with the OG Our Generation Leslie the Pet Owner Doll and Publisher Lea-Ann Germinder. Her book is being watched over by Flea, the clinic cat. 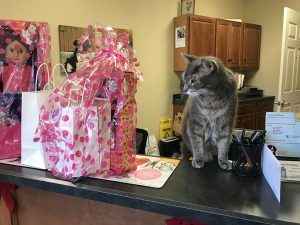 Note: Goodnewsforpets Cover Image is of Flea, resident cat at Butler Veterinary Hospital inspecting Leigh-Ann Janitz’ winning prizes. Stay tuned for more winner announcements. For pet and vet lovers wishing to purchase from the OG Our Generation collection, visit www.target.com or your local Target store. Updated from an earlier post as of November 30, 2018.